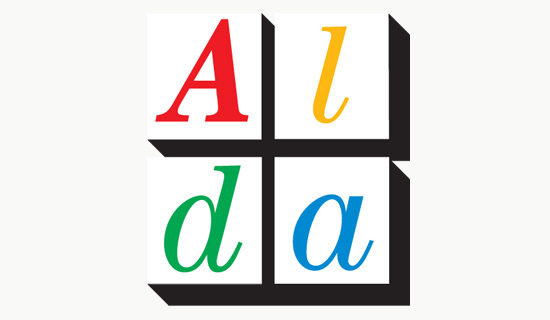 Alda Technologies is the developer of a software product called Jargon, which provides real-time translation into the local language of the user, of all menus and alert boxes that make up the interface of any compatible Windows-based software product. This is highly advantageous for any user living in a country for which there is not a localized language version of a particular software program. Our logo solution was inspired by the original Microsoft Windows logo – which some of you may recall incorporated an italicized matrix of four distinctly coloured rectangles or “windows”. The slogan for Jargon was: “Opening Windows to the World”.